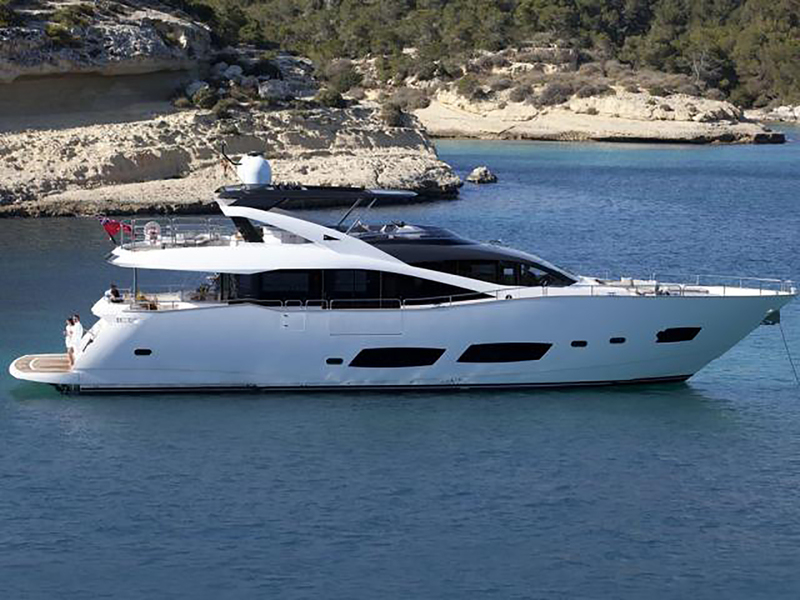 The Sunseeker Motor Yacht RAY III (Ex Anya) was launched in 2013 and is 28m (91,10ft). 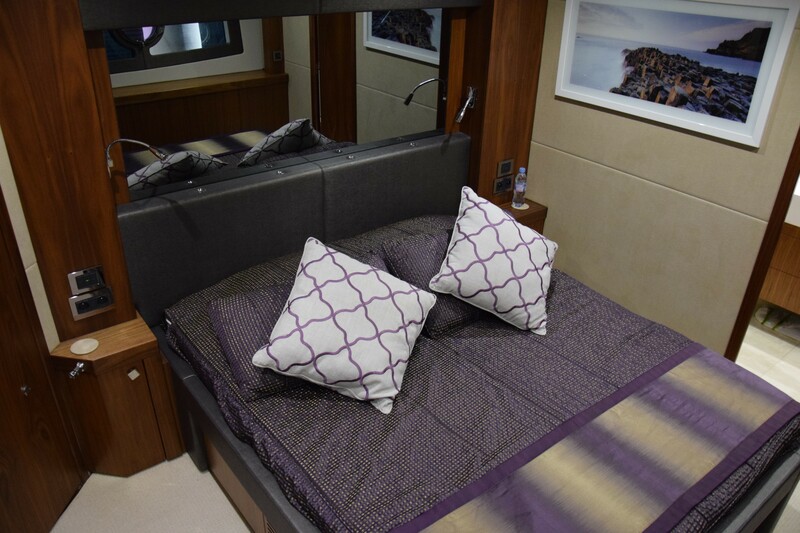 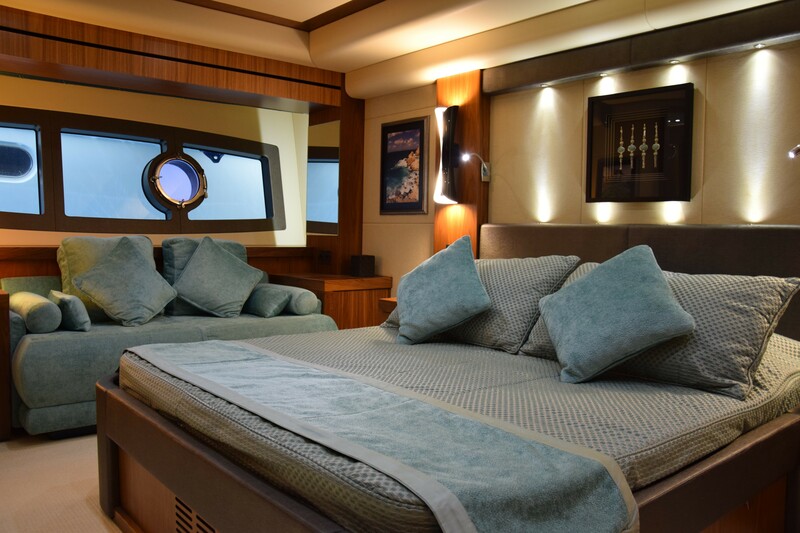 She offers luxury accommodation for up to 9 charter guests, in 4 cabins. 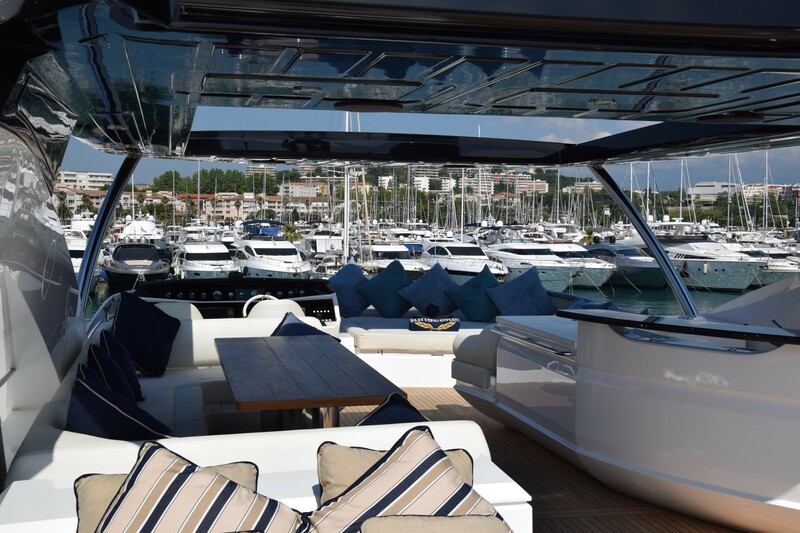 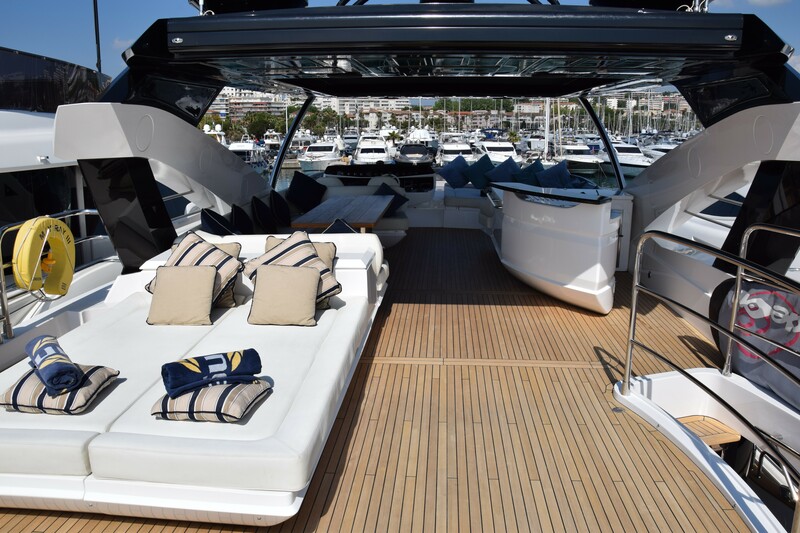 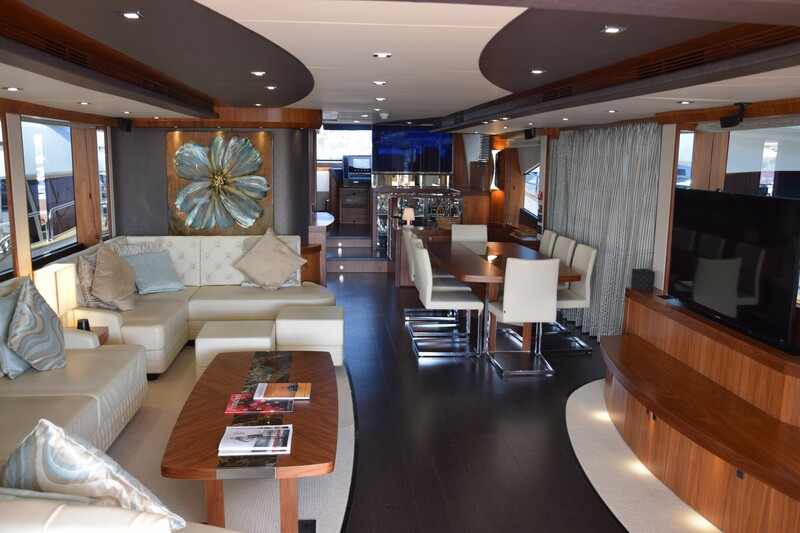 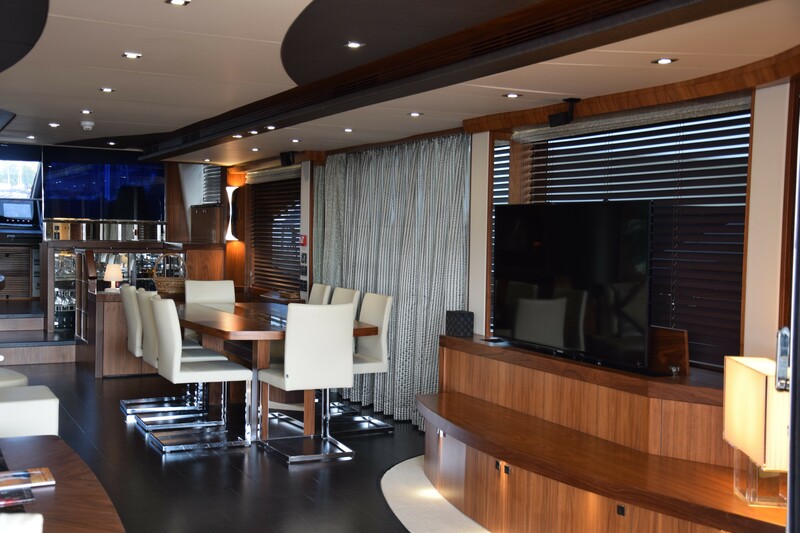 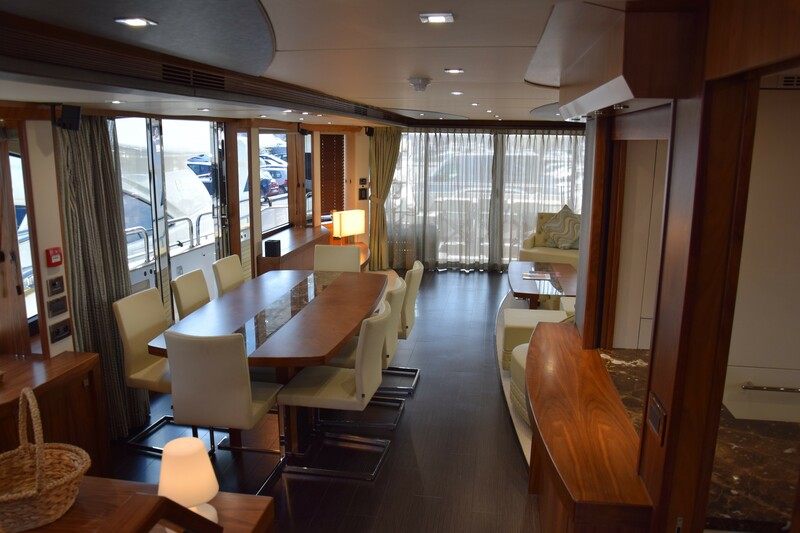 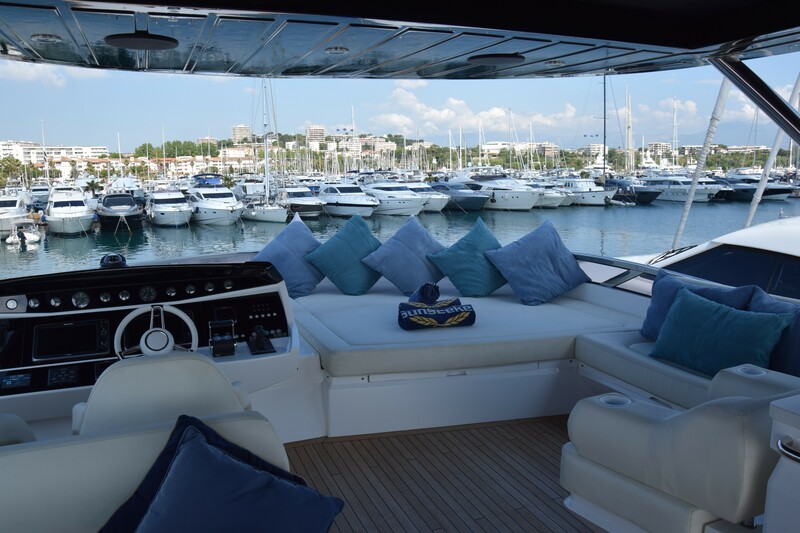 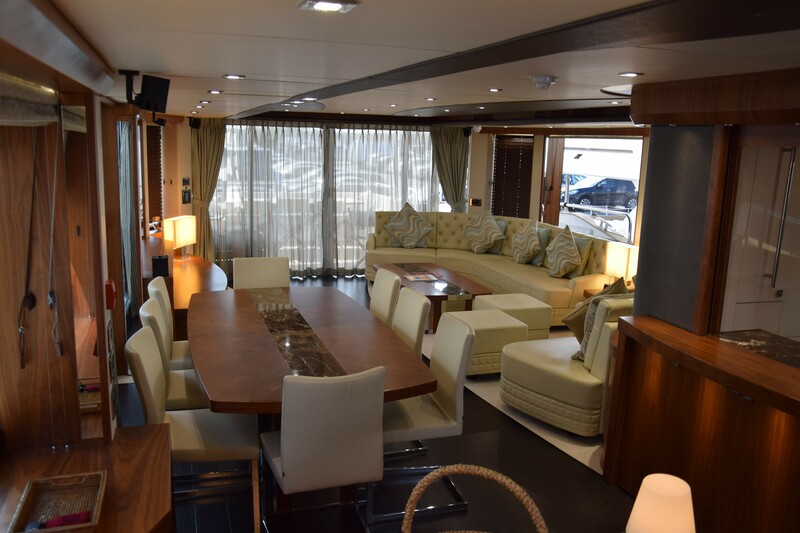 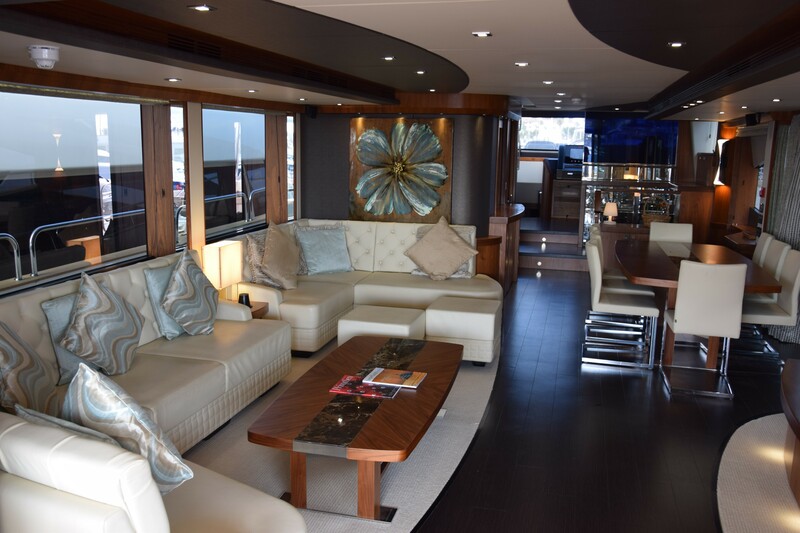 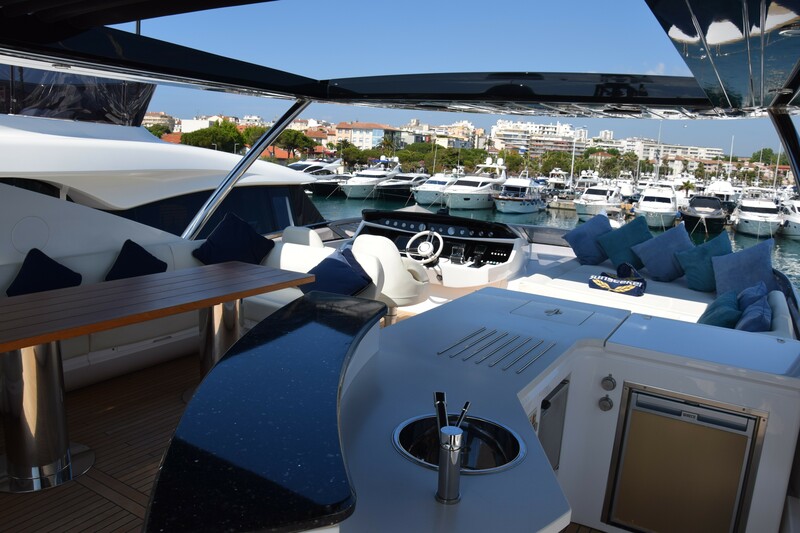 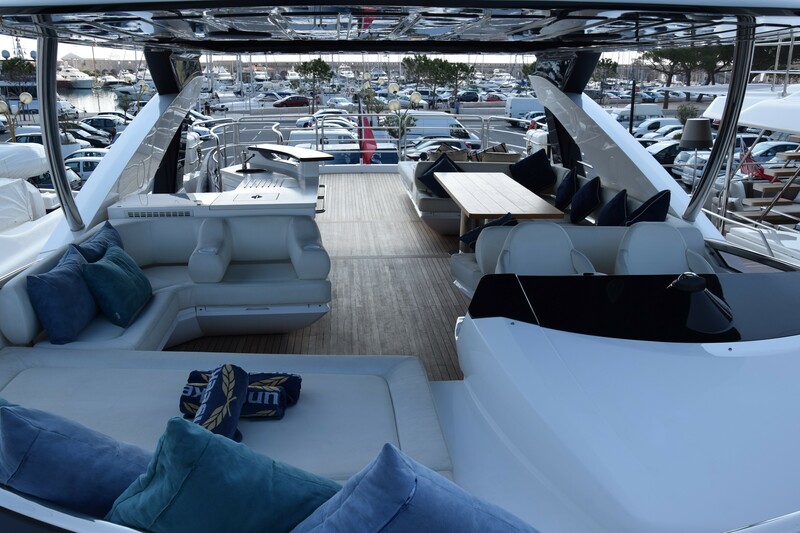 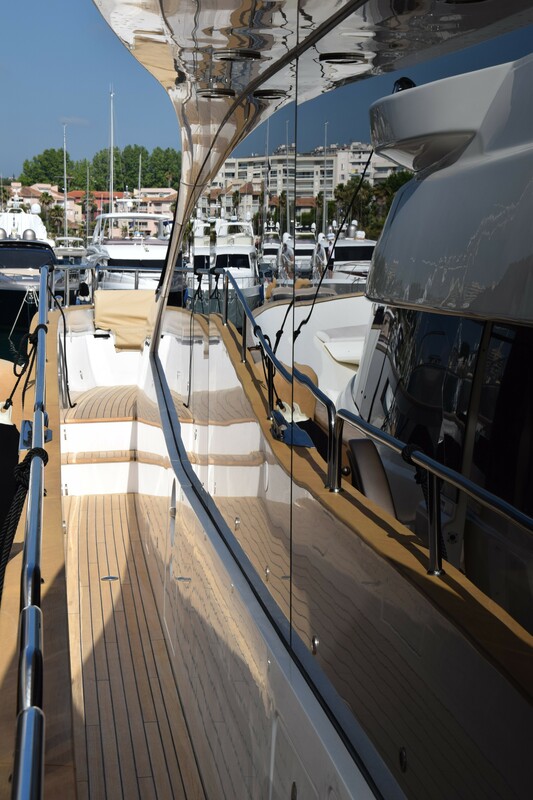 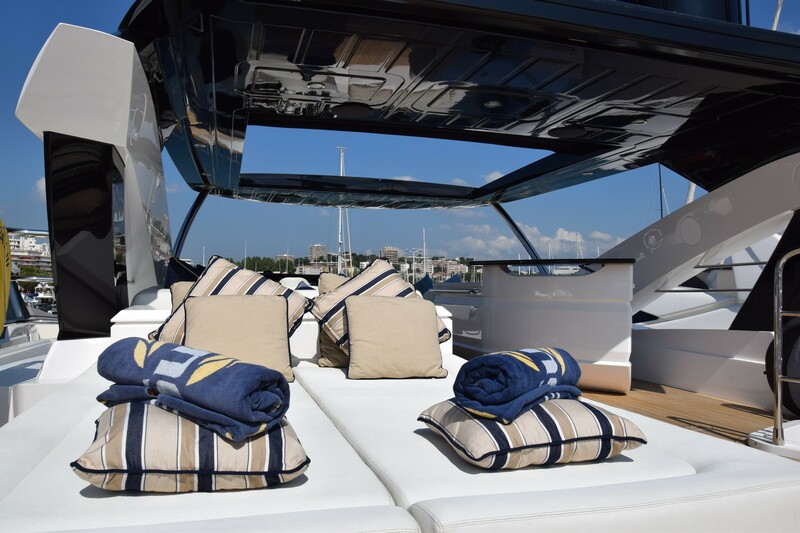 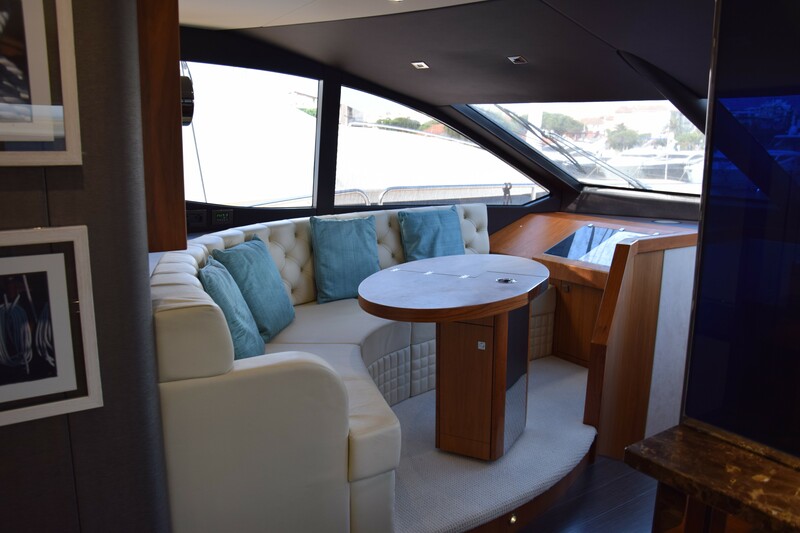 The yachts interiors are welcoming, with an open plan salon and dining, ideally suited to socializing and relaxing. 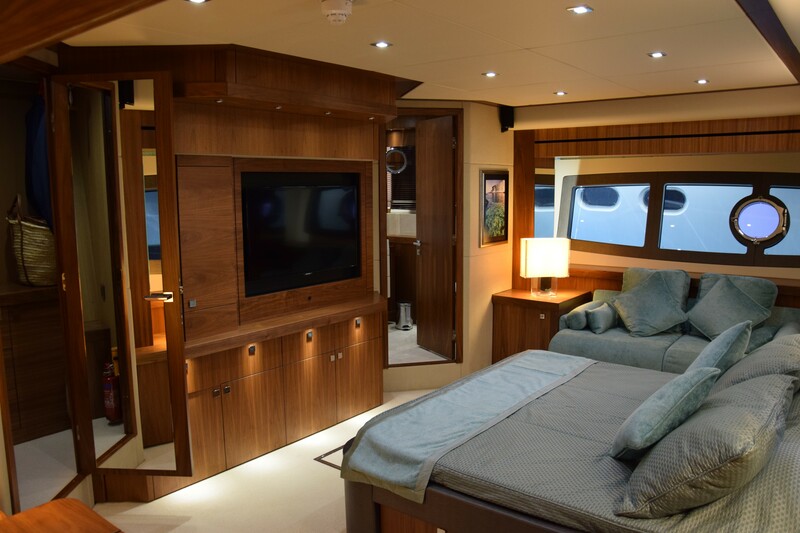 Large side windows and wide aft sliding doors allow for plenty of natural light and scenic views. 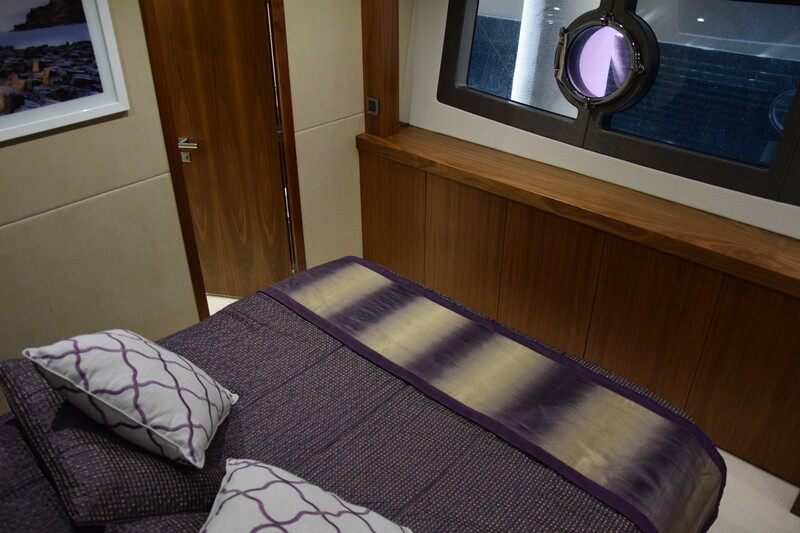 Below decks are 2 guest cabins, comprising a master, VIP, double and twin with a Pullman berth. 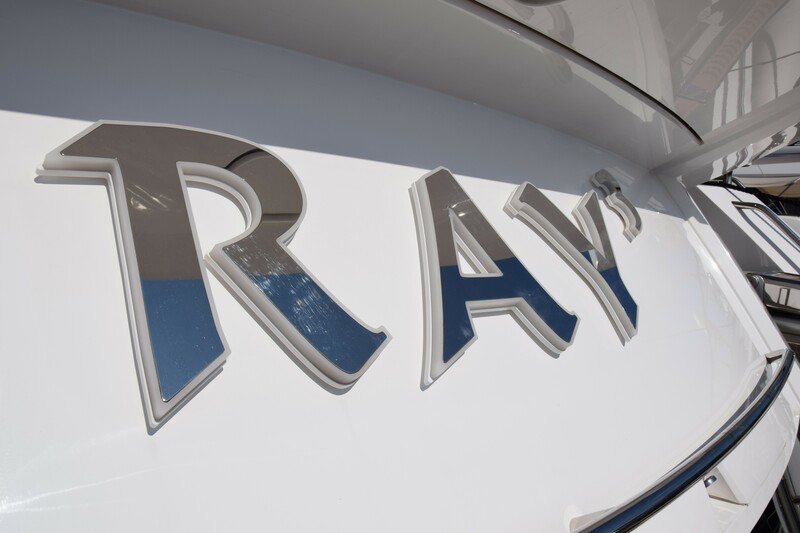 M/Y RAY III has 2 exterior decks and offers numerous areas to entertain. 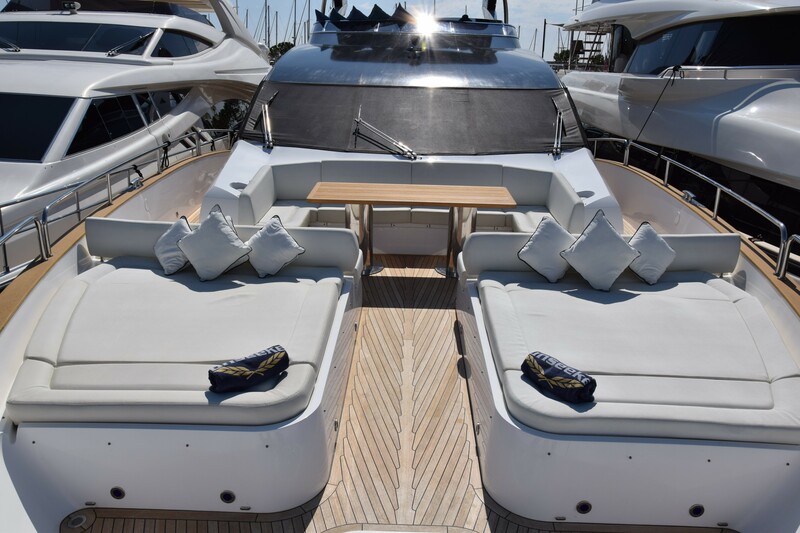 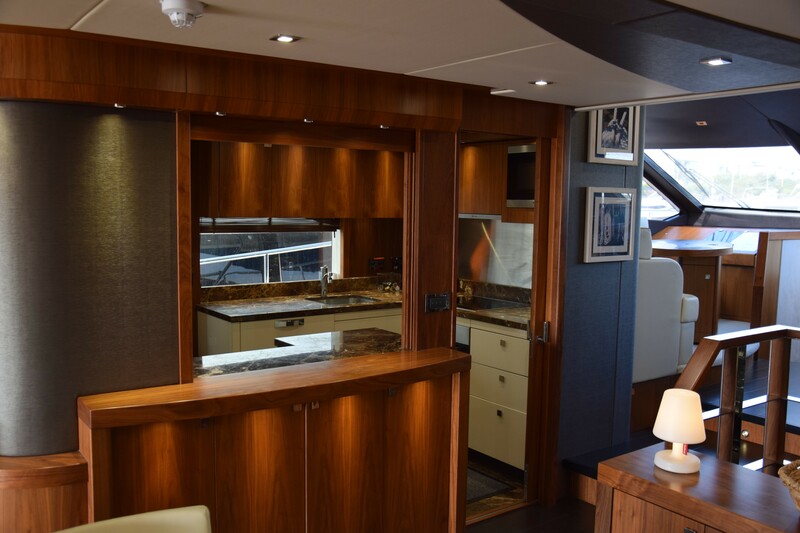 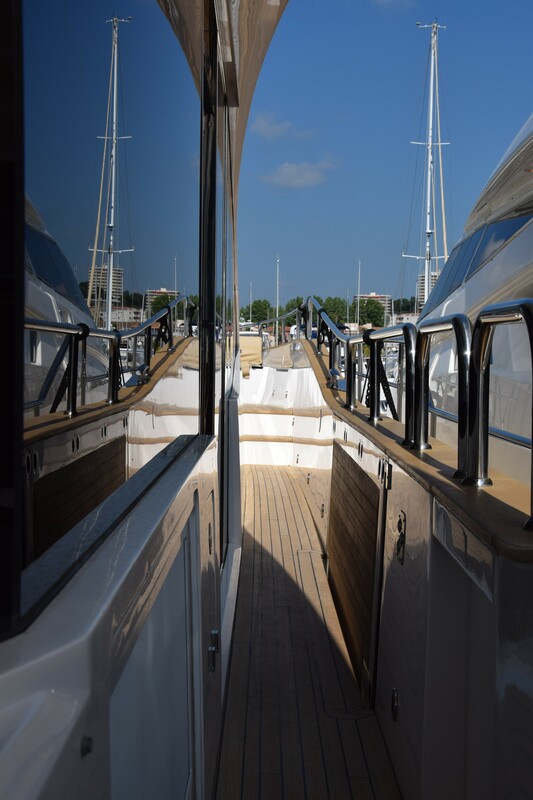 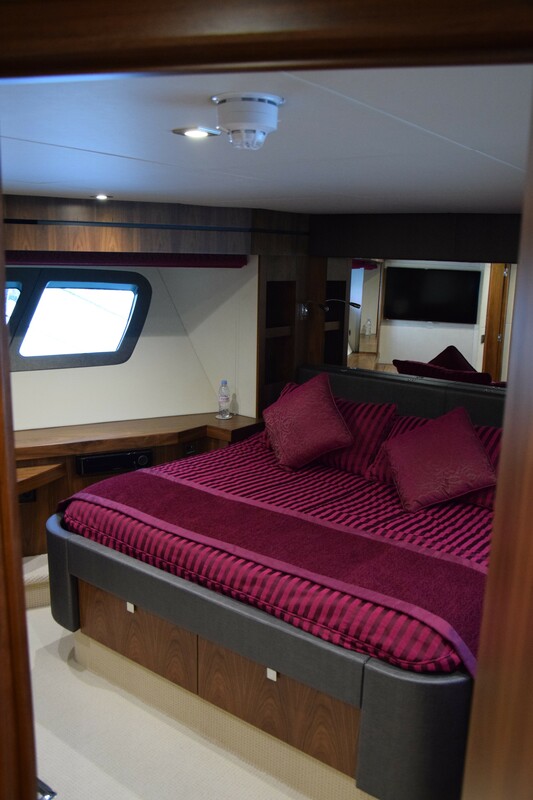 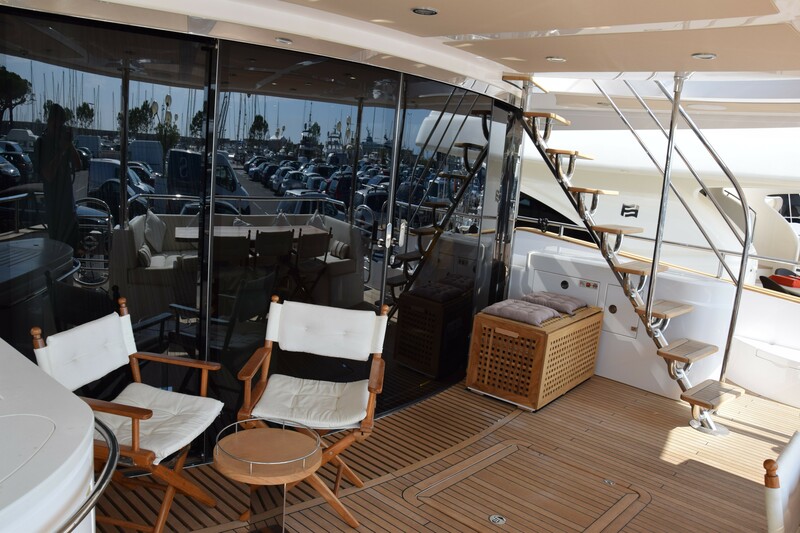 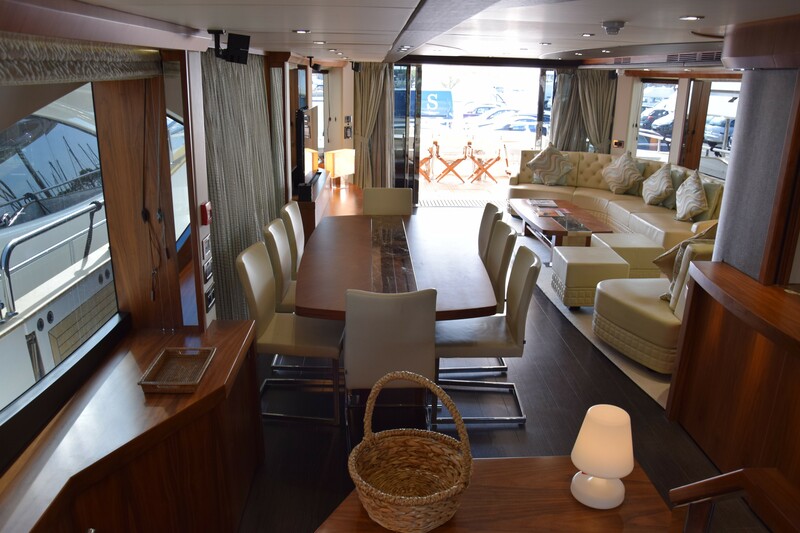 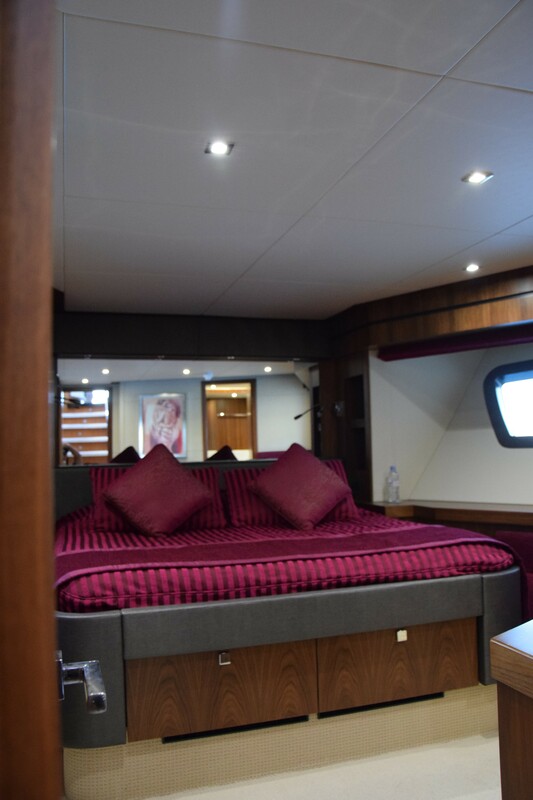 Her partially shaded aft deck has alfresco dining and further seating, the space features direct access to the salon, as well as foredeck and stern swim platform. 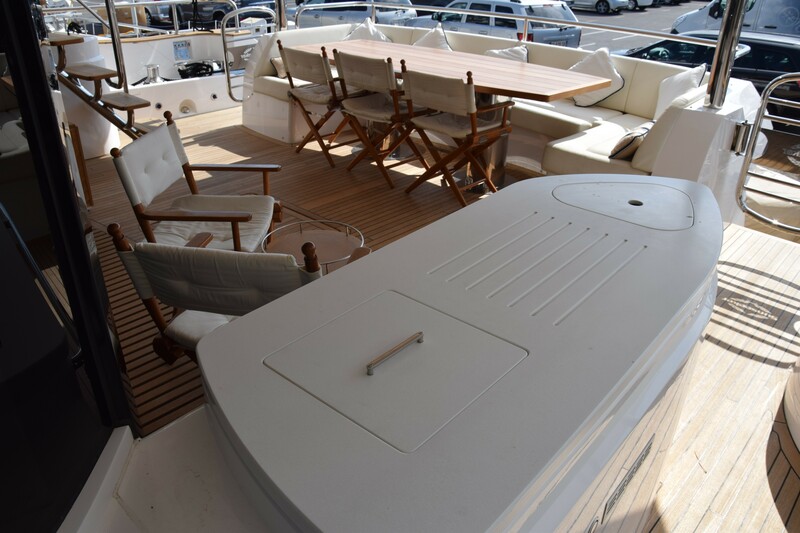 On the bow, there is a sunning arrangement and additional alfresco dining table. 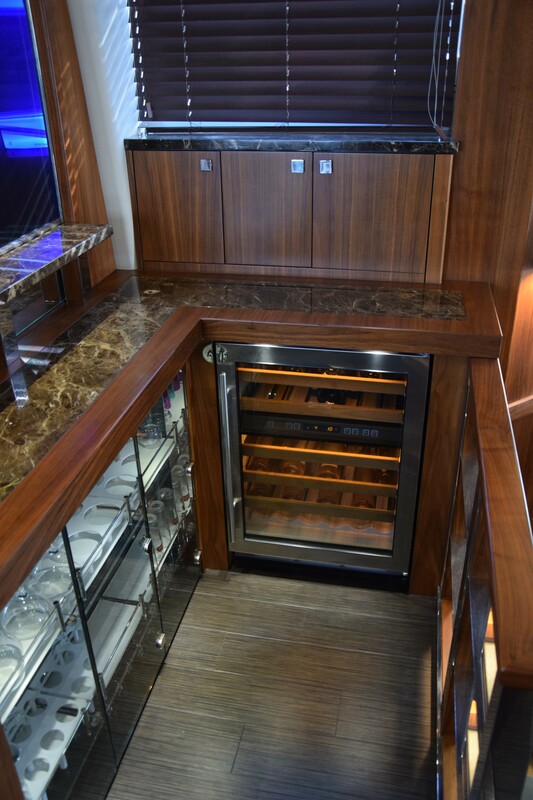 The Sunseekers upper level boasts alfresco dining, sun pads, seating, cocktail bar, and shade. 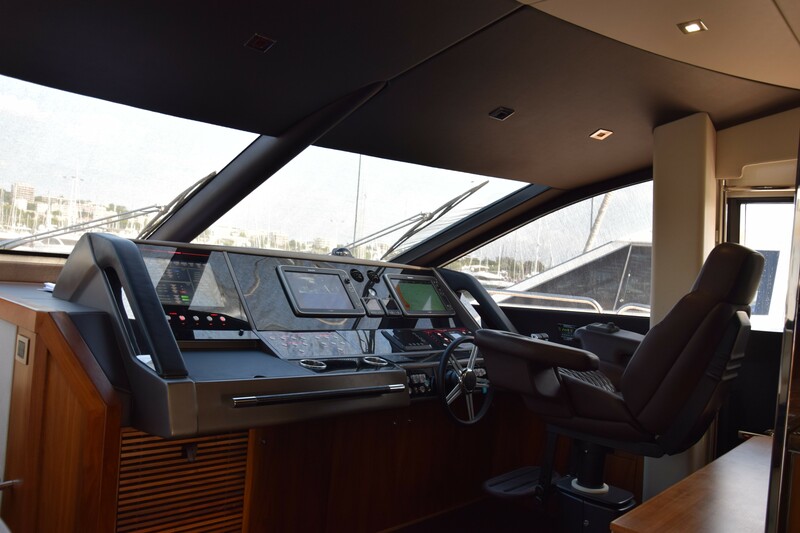 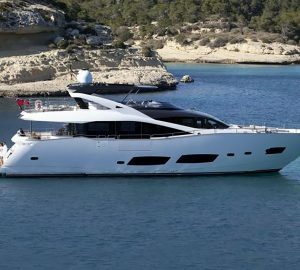 Twin MTU engines power the yacht with speeds of 23 - 29 knots. 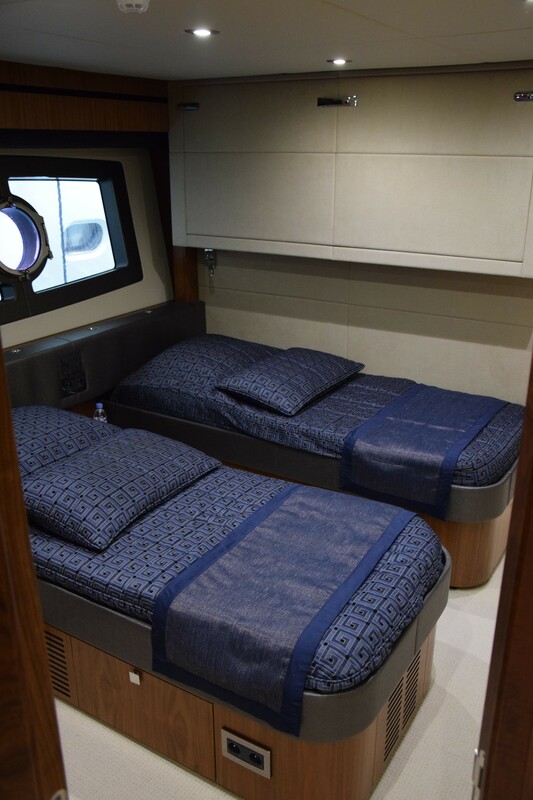 Four cabins for up to 9 charter guests comprise a full beam master stateroom amidships, a VIP suite forward, one double cabin located on the port side, plus a twin cabin to starboard, with a Pullman berth. 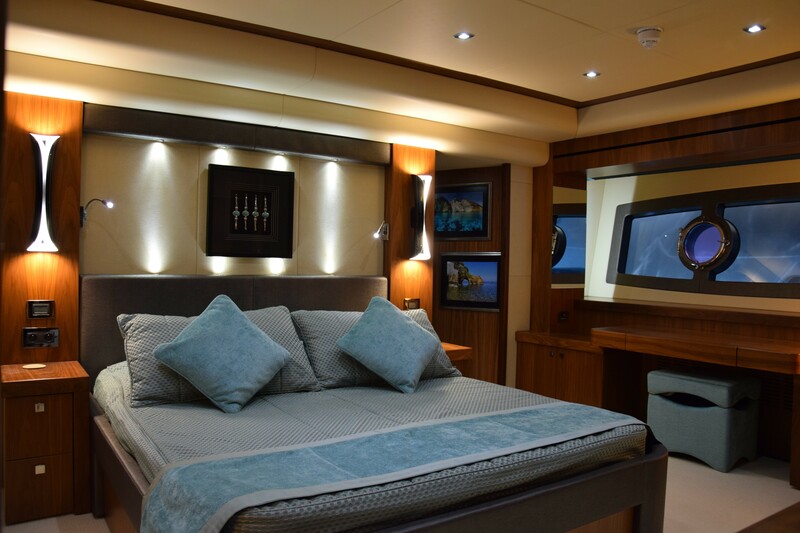 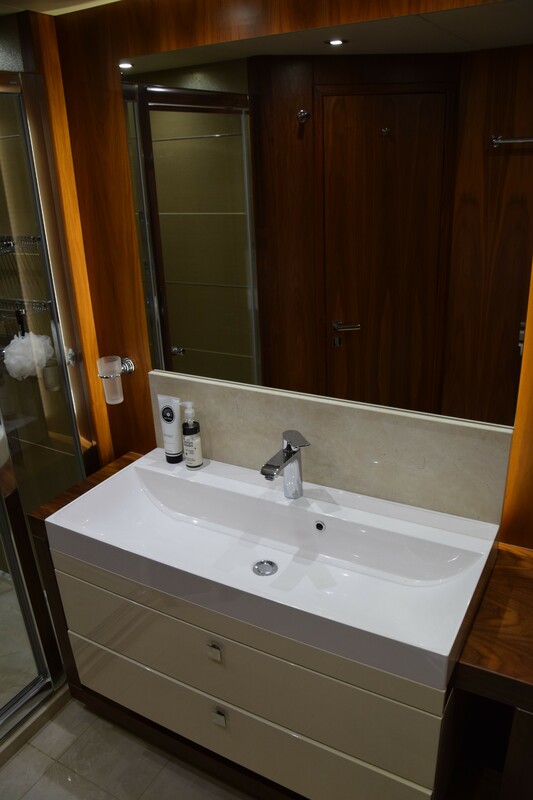 All cabins have TV entertainment and ensuite facilities.